Calling Bloch & Chapleau after my car accident in Eagle County was the best decision I could have made. Trent and Joe were knowledgeable about the law, professional, and treated me with courtesy and respect. Bloch & Chapleau obtained $500,000 for me and I am extremely pleased with the outcome of my case! Thank you for your wonderful legal services and support. 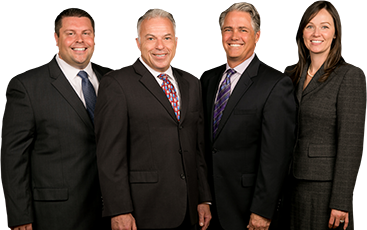 If you need reliable, hardworking, and respectful attorneys for your personal injury case, I would not hesitate to give them a call! Bloch & Chapleau helped me when I was injured in a ski collision on Vail Mountain. Trent and Joe were very clear about the process and were very knowledgeable about the dynamics involved in a ski case. They told me what to expect, and delivered on my expectations. Because they worked hard on my ski collision case, I received $190,000. Thank you for helping me receive the compensation I needed. Thank you so much, Bloch & Chapleau, for your exceptional personal service and for fighting hard to get me the compensation I deserved. I was very pleased with Bloch & Chapleau’s work on my car accident case, and Joe Bloch helped me get $475,000. I would highly recommend Bloch & Chapleau for your personal injury case. Thank you! I cannot thank Bloch & Chapleau enough for helping me obtain $300,000 after my car collision. Trent and Joe are absolutely wonderful to work with and I appreciated the time they took to understand my case and communicate with me. Trent kept me informed and responded quickly to my questions, and he really helped me through one of the worst times of my life. Thank you for all of your work and helping me move forward after my collision. After I was severely injured in a ski collision at Breckenridge Ski Resort, I called Bloch & Chapleau. I am very grateful for Trent’s and Joe’s work on my case. I was impressed with their knowledge of ski law. Joe met me at the accident site and was able to demonstrate through photos and videos that it was the other skier’s fault. Thank you both for your professionalism and hard work, which got me $150,000. Bloch & Chapleau is the right choice and I highly recommend Joe and Trent. Thank you both for being my strongest advocates!